Microwave International takes our award-winning feature film scheme abroad. With intensive expert training and mentorship along with production funding, the scheme champions new and emerging talent around the world. Our current Microwave International projects are taking place in India and Malta. We also run versions of our popular Microschool in locations arcross the globe. 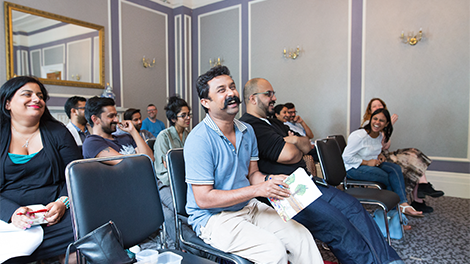 Originally only available to teams who were shortlisted to develop their film through Microwave, the programme has proven so effective that we have expanded its scope to reach and develop new talent in Georgia, Indonesia, Croatia and Sweden, along with India and Malta as part of the wider Microwave International scheme. Find out what previous mentors and alumni thought of Microwave International.